Cement Creek communities to the south support federal cleanup dollars for the Silverton area, whose watersheds have been polluted for years by hundreds of inactive and abandoned draining mines. The La Plata County Commission on Tuesday unanimously approved a resolution in support of Superfund designation to address mine pollution cleanup in the Silverton area. The measure stands as La Plata County’s vow to provide backup to its northerly neighbor as Silverton pursues federal funding. Hundreds of inactive and abandoned draining mines, a symbol of Silverton’s former booming mining town status, have polluted the area’s waterways for years. Durango’s City Council passed a similar measure last week. “I believe San Juan County and the town of Silverton have worked very closely with the Environmental Protection Agency and the state to get their concerns addressed through this process, and from La Plata County’s perspective, pursuing Superfund designation is a positive step to hopefully getting on the EPA’s National Priorities List in a more timely manner to begin addressing this ongoing contamination,” Commissioner Gwen Lachelt said. “I see this as supporting San Juan County and the town, and our hope is that it moves forward in a fashion that’s good for the people of San Juan County and Silverton,” Commissioner Brad Blake added. However, Silverton and San Juan County governing boards on Monday delayed a vote they expected to take this week on the federal cleanup designation. 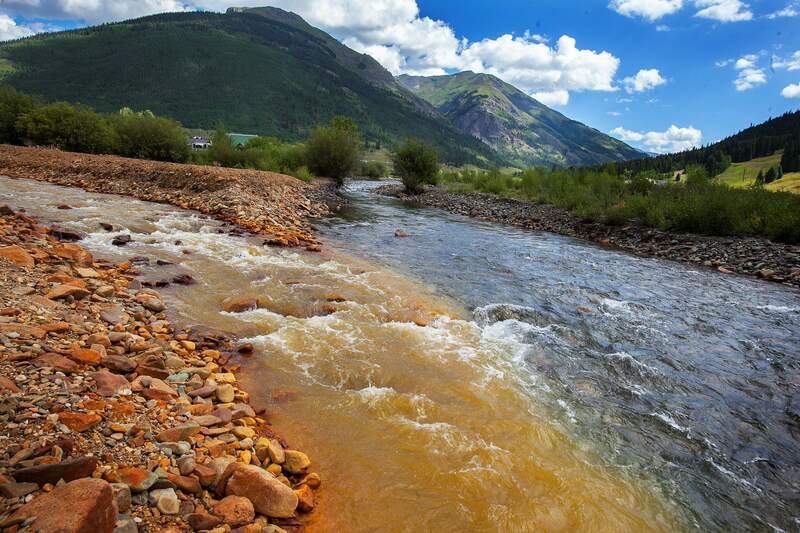 The EPA has taken responsibility for a mine blowout in the Silverton area last August that polluted the Animas and San Juan rivers with 3 million gallons of metal-laden sludge. The incident ignited new interest in a decades-long conversation over Superfund, with the understanding the designation would specifically address mine drainage into Cement Creek. The EPA has apparently broadened those boundaries, prompting local officials to hold off on a decision until the terms are clear. There is a Jan. 31 cutoff for Superfund consideration in March. Unless the EPA agrees to an extension, the Silverton area won’t have another chance at the designation until September. La Plata County Commissioner Julie Westendorff was wary of postponing a decision to fall. Becky Joyce with the San Juan County Health Service attended Tuesday’s commission meeting and assured that while communications between local and federal entities “takes time,” her perception is that all parties share the goals.